Are you looking for weekly, well researched Goals Galore Tips? 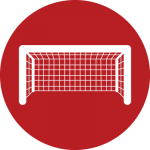 See our latest Goals Galore tips and match previews right here. The football ‘Goals Galore’ bet is now more popular than ever. Many online bookmakers now offer odds on this market and brand it under different names. Whether it be Goals Galore, Goal Rush, Goals Goals Goals, Both Teams to Score or Goal Crazy, the bet is the same. This guide will inform you of the different bookmakers that offer odds on the Goals Galore bet, and how there is a slight variation of it you may not be fully aware of yet. 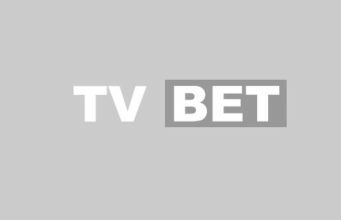 We have reviewed each online bookmaker and have listed below which ones we think offer the best services for the fun bet. This market is exactly what it says in the title. You choose a football match in which you think both teams will score a goal at any stage of the game. Therefore the minimum qualifying score for a successful outcome is 1-1. You can make more than one selection and put on doubles, trebles or an accumulator of any size. The actual score of the game and which team wins is irrelevant. As long as both teams score, you win! We have a dedicated Both Teams to Score system which will help you make your selections when placing a bet. Our Goals Galore tips section also contains the best selections for this exciting bet. This may be the version of the bet that you aren’t aware of just yet. That is because not all bookmakers offer this bet. It is the complete opposite of the above mentioned ‘both teams to score’. The perfect result for you if you put money on this market is a 0-0 draw. But there are many other combinations in which you will win because all you need to be a winner is for one team, it doesn’t matter which, not to score. As long as a team in your selected match fails to score a goal, you are a winner!